New Movie Trailer for Branded. 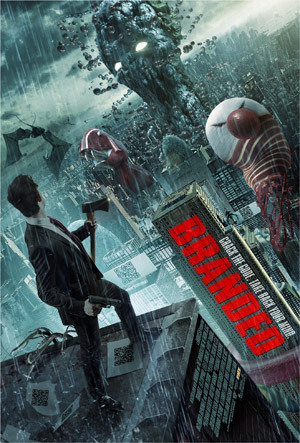 Ed Stoppard, Leelee Sobieski and Max von Sydow star in the sci-fi thriller Branded. Watch the movie trailer for Branded below. Set in a dystopian future where corporate brands have created a disillusioned population, one man’s effort to unlock the truth behind the conspiracy will lead to an epic battle with hidden forces that control the world.